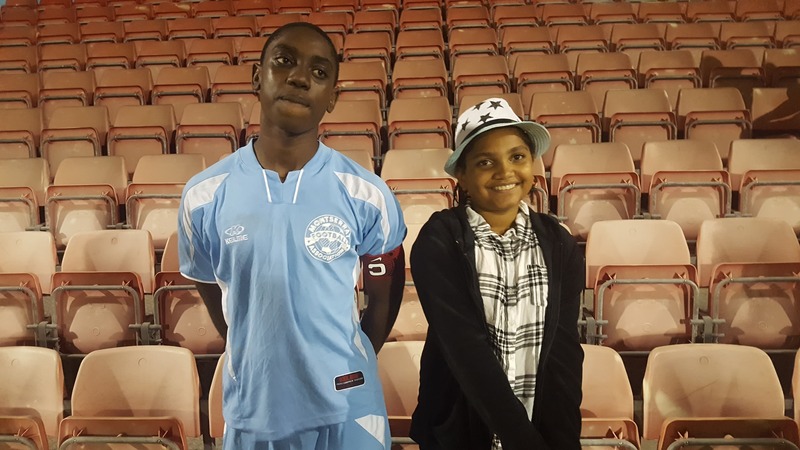 Congratulations to 12-year-old Vashirn Roach who will represent the Montserrat Football Association in Russia at the Football for Friendship Games. 6th Grade Student, Haley-Shai Kassie will be the Junior Journalist covering the games. The announcement was made on Wednesday evening following a friendly match between young players in the football association. The two teams made up of boys and one girl each scored one goal. Before the game, they had exchanged friendship bracelets as many other players are doing around the world as the commemorate the day. Kassie, a student at the St Augustine School is a regular on the Saturday Morning Cultural Show on ZJB Radio. She has also won numerous writing competitions both locally and regionally. She told the media that she hopes to make Montserrat proud and she feels very honoured to have been selected. The Global Organizing Committee of the Football for Friendship has invited one young football player and one young journalist from each country and region to act as young ambassadors of the F4F program. Each will have a chaperone for the final events taking place in Moscow, Russia, from the 8 to 15 of June 2018.